Few stories were more disturbing. Systematic child molestation in our nation’s preschools. 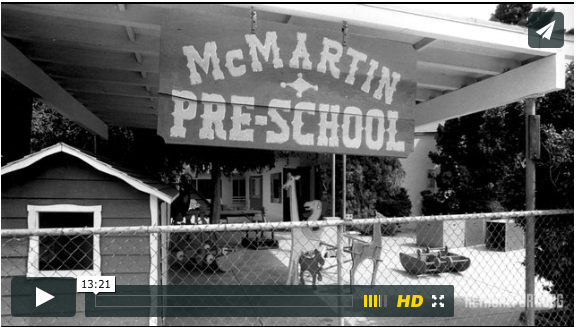 It started, of course, with the McMartin Preschool in Manhattan Beach, CA in the early 80s. The allegations were offensive and shocking. Child abuse. Even Satanism. And as the allegations grew, more stories from more preschools across the nation. We had, it seemed, an epidemic. But after years of trials and front page news, nothing. No convictions – lives ruined – both for the people who ran the McMartin preschool and for many of the children who were allegedly abused. What have we learned from the McMartin Preschool case? Could therapists, investigators, journalists – even we the pubic – get something so wrong again?